PS If you have a kid who might be interested in one of the following, but getting him or her to pick up a book feels like it’s own kind of insurmountable task, consider looking for the audio version through Audible or your local library. Encourage them to listen while they are shooting hoops or running or whatever other athletic feat they like to attempt. I picked this up as a gift for my son who is not a huge reader, but is a HUGE Steph Curry fan. 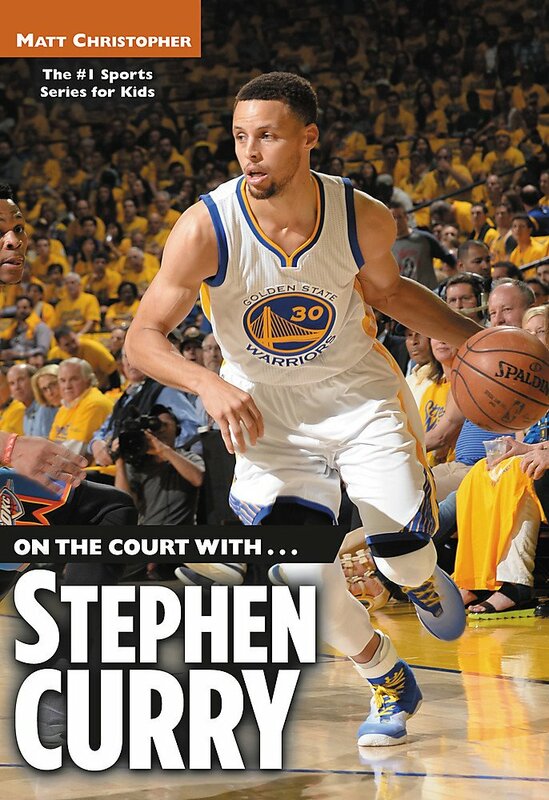 I figured if Steph Curry was on the cover, he might actually open the book up. The nice thing about this book is that it is basically 11 short stories about different athletes (most basketball players, but there are a few soccer, tennis and baseball players included as well). The chapters aren’t huge, but the stories they tell are really amazing. Heads Up: There was one story included in this book (about R.A. Dickey) that included an episode of sexual abuse that was a little more graphic than I was comfortable with. However, stories like this are also a good chance to talk to our kids about the harder things in life. Amazon lists this book as good for ages 8 and up, which most of the stories are… but because of Dickey's story I would say 12 and up would be a better recommendation. Gregory Zuckerman recently released a second book titled Rising Above: Inspiring Women in Sports which as the title suggestions shares the stories of many of today’s female superstar athletes. Outcasts United is the story of one woman who started a soccer team for refugee boys in the Atlanta Georgia area. The back stories of many of the boys are also shared in this book which helps to personalize the term “refugee” that we hear on the news so often these days. 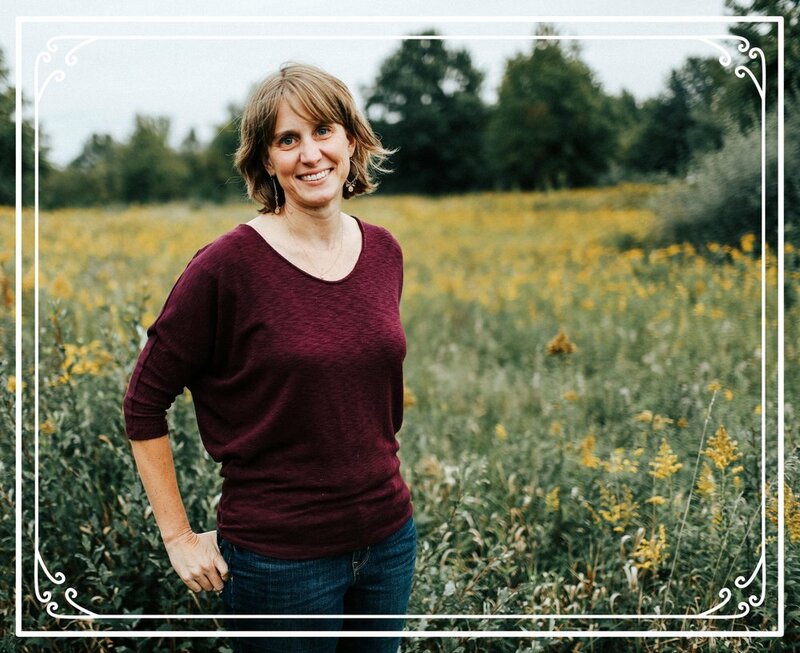 Because of this, there are some tough realities shared as well and there are definitely a few sad parts in this book, BUT it is also filled with hope and shows how one person can make a difference. While it started a little slow for me, it didn’t take too long to get hooked. And, for those soccer players out there, there are some exciting play-by-play descriptions that keep the action moving. This is a sports story, but, even more, it is a great human story too. You know it’s a good story when you know the ending of the final race, but you can’t put the book down because you are so nervous to see if they can actually pull out the win! 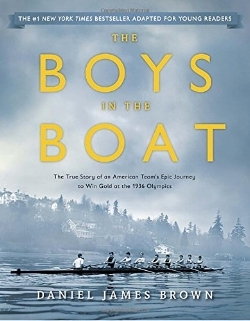 The Boys in the Boat is a true underdog story of Joe Rantz, his rowing team and how they pulled together to win Olympic gold. My son read this book several years ago and loved it. He kept asking me to read it and when I finally did I could totally see why. 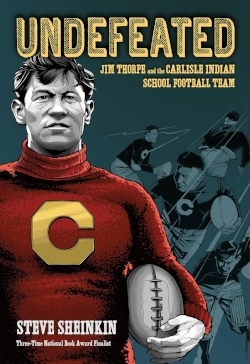 Matt Christopher has a large number of sports biographies available for young readers. (He also has an even larger number of sports fiction for young readers!) My son loved his books on LeBron James and Steph Curry, but there are many more to choose from that highlight athletes from a variety of sports. Short and unintimidating, these are great biographies for young readers. A fun, well-illustrated book filled with tales from sports legends in a wide-variety of sports including sumo wrestlers, boxers, jockeys, golfers and hockey players. This has a little something for everyone. 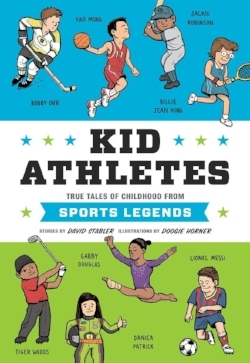 The stories are interesting and the focus on the childhoods of these athletes make it an obvious pick for kids.